1/8 brass tube chassis-will it hold up? 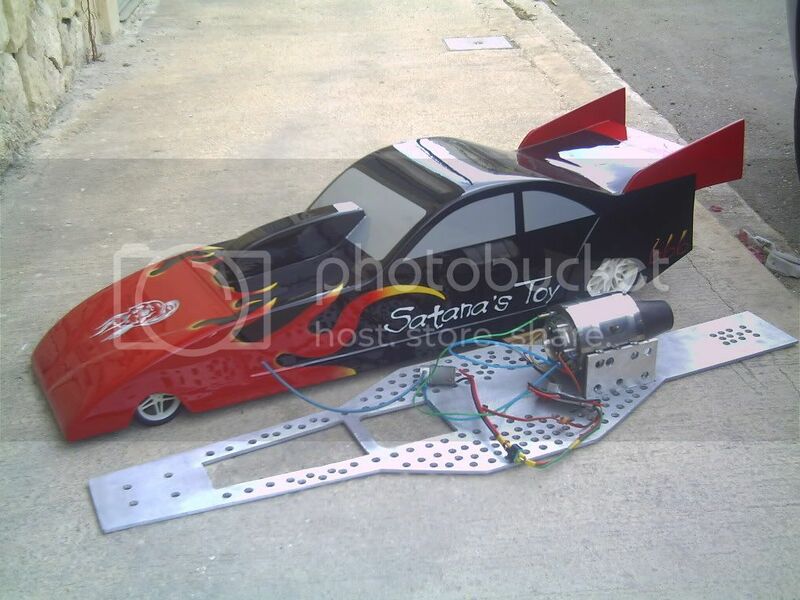 Im thinking about soldering together a top fuel drag chassis made of 1/32 brass tube. i know how to make the solder joints strong enough, but will it be able to hold up to VXL/7-cells? i would also use a tube bender, so i would be able to make nice bends. RE: 1/32 brass tube chassis-will it hold up? did you ever finish? i would love to see some video of it. what scale are you going for? K&S makes thin walled brass tube. If you're going to bend it, anneal it first, and fill the tubes with sand or a tight wound spring so it doesn't cave in on the inner radius of the bend. Mine is 3/8" K&S tubing. Whole chassis (empty) = @1600grams not bad for a 7 footer. RE: 1/8 brass tube chassis-will it hold up? My LHS has alot of thin-walled brass tube, not sure which brand and they have a set of abot 5 different sizes of those springs for bending. I mentioned I would use some kind of tube bender in the first post. And I wold probably make it 1/10 to 1/8 scale. i have a bit of experence in this department. try to get 1/4" tubing, it is light but very strong. remember to brace and reinforce. http://www.youtube.com/watch?v=40px_zcCMCg& here is a car i built, its about 20" long, 4" wide and 7" high. one of the strongest brass cars i have ever built.